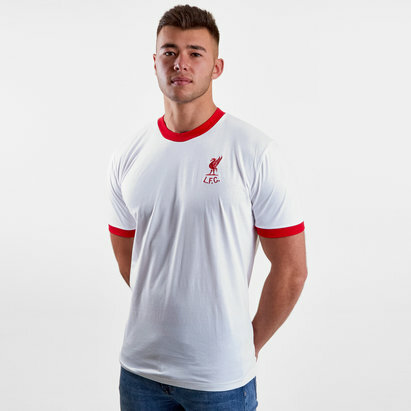 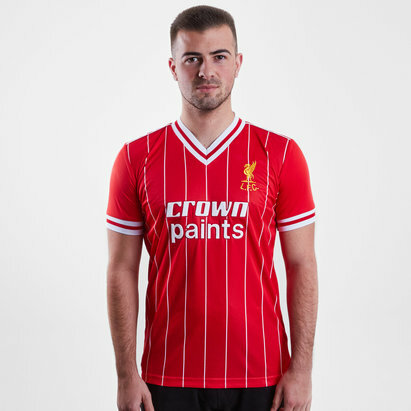 Celebrate a domestic double for the Anfield Club in 1986 with this Liverpool 1986 Home Crown Paints Short Sleeve Retro Football Shirt in Red. 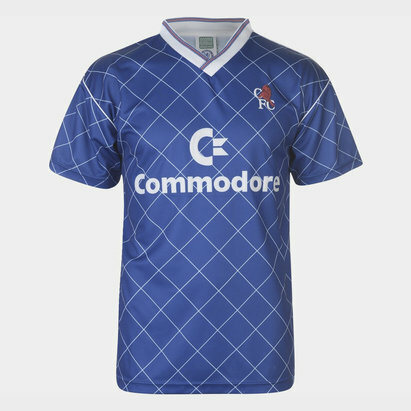 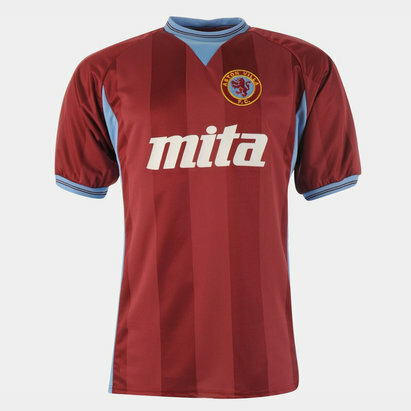 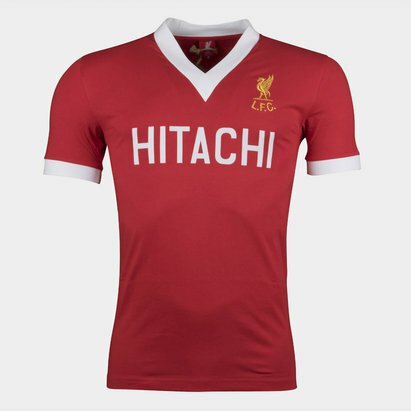 This retro football shirt of the Premier League side, Liverpool FC was worn by the likes of Kenny Dalglish, Ian Rush and captain Alan Hansen. 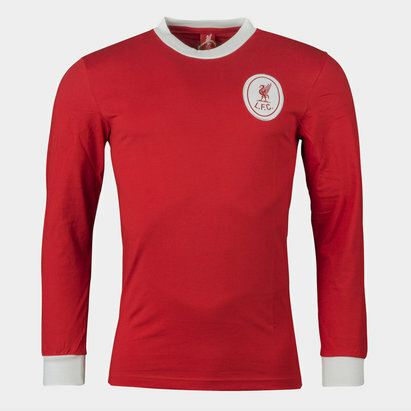 The season saw the Anfield club pip their city rivals, Everton to the league title and then beat them in the FA Cup as well. 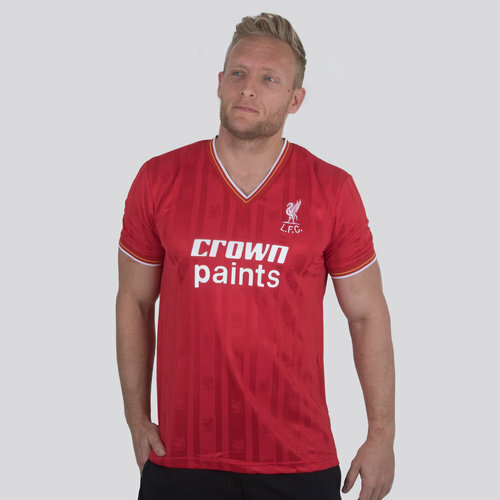 A pattern design featuring multiple Liver birds, sees sponsors Crown Paints the only addition to the famous LFC crest. 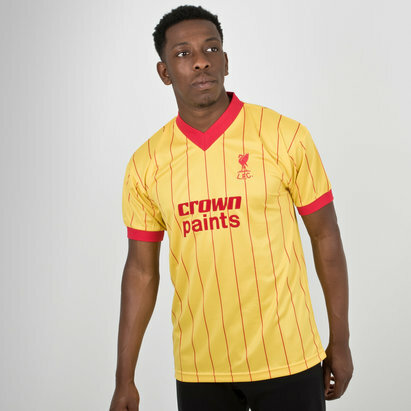 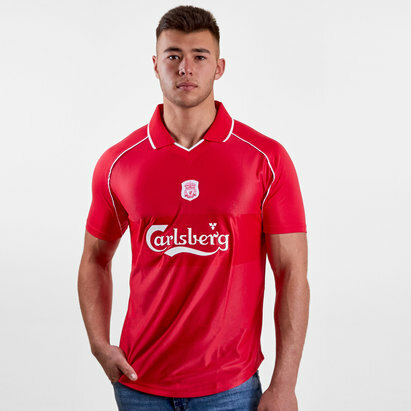 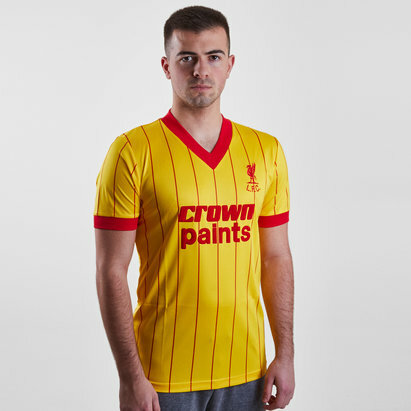 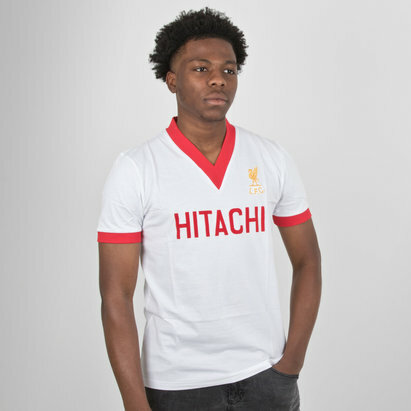 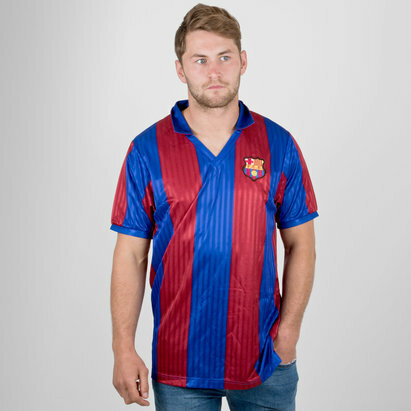 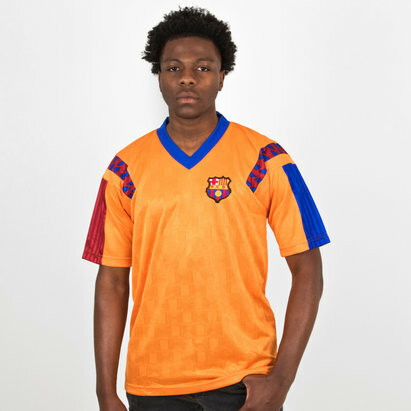 Made from 100% polyester, this lightweight retro shirt will leave no one in doubt who you're supporting when you pull on this Liverpool 1986 Home Crown Paints S/S Retro Football Shirt.